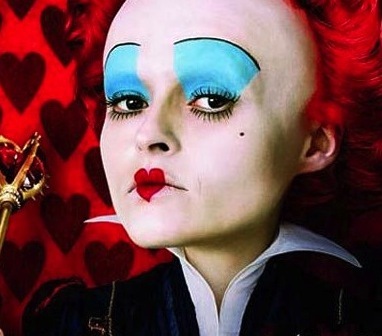 At Warpaint we love a movie villain and have rounded up our top ten favourite Big Screen wicked women, whose make-up looks are almost as famous as the characters. 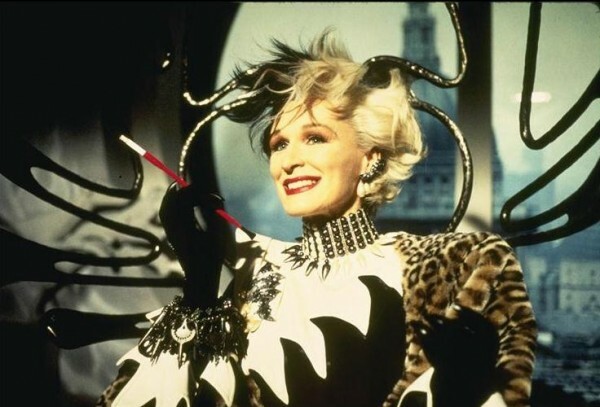 Cruella de Vil – Jean-Luc Russier and Martial Corneville created Glenn Close’s 1996 look, in close collaboration with costume designer Anthony Powell. Designed for Glen to act evil (rather than look evil), it’s testament to actor, make-up and costume departments that the Cruella monochrome is evil personified. 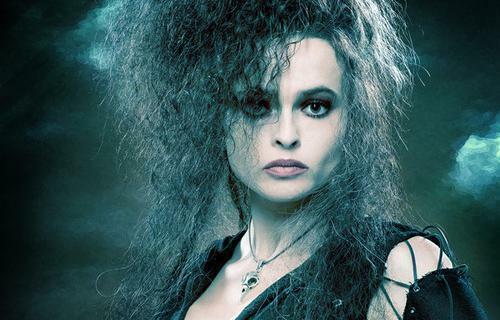 Bellatrix Lestrange – Bellatrix first appeared in Harry Potter and the Order of the Phoenix, again sporting the black and white staple that screams villain. Amanda Knight, the HP make-up designer, worked on the eyes in particular, in a visual representation of the inner madness of Bellatrix. 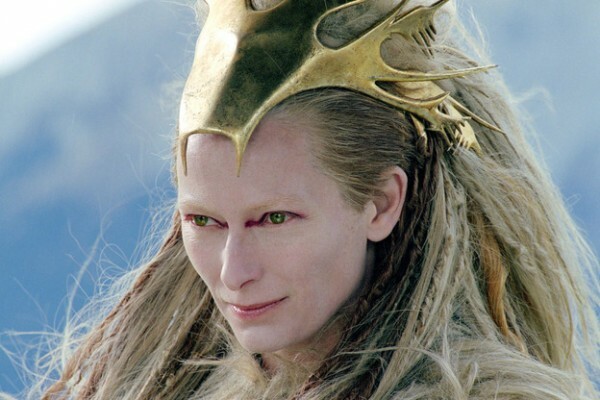 Ravenna – Charlize Theron in The Huntsman: Winter’s War reprised her evil Queen. 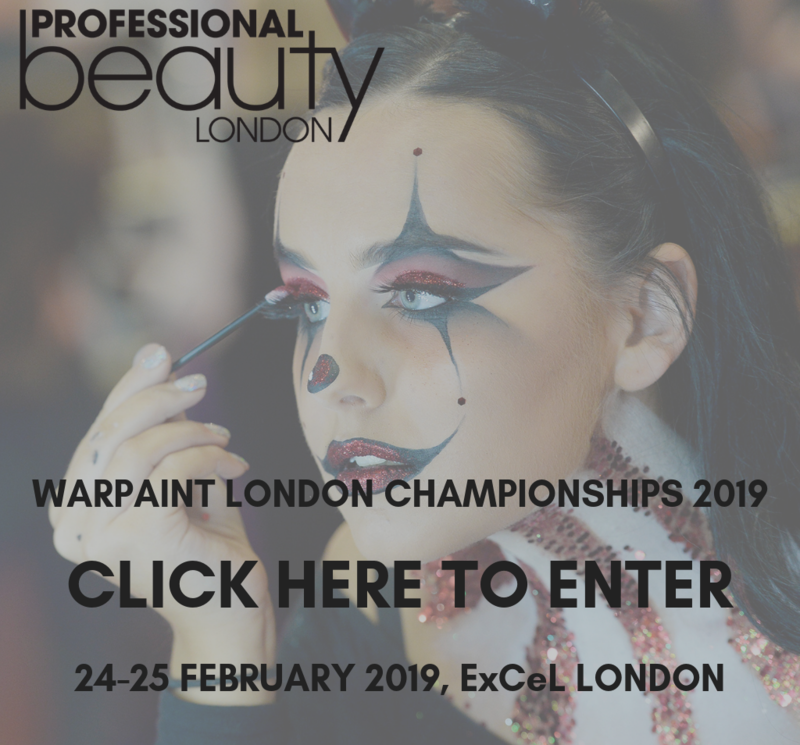 Make-up artist, Patti Dubroff, is a graduate of the runways, having assisted to Francois Nars, and is a perfectionist who believes that makeup should be worn as jewelry. “Charlize wanted flying gold flakes, like tears in the wind,” so she used gold foil shavings around the eyes. 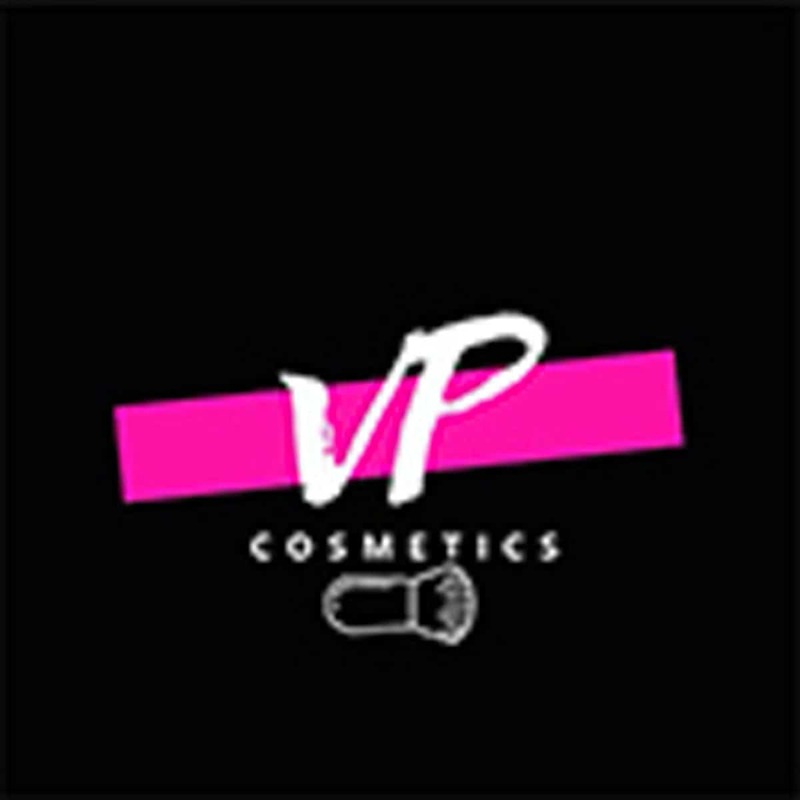 Go to brands are Make Up For Ever and Nars for glitter and pigments, and Frends Beauty, Naimie’s and Nigel for special effects. 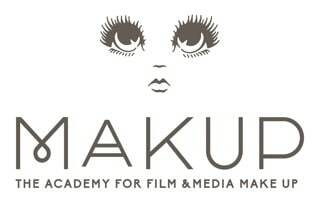 “For movie make-up, the most important thing is not the creativity but the ability to reproduce the exact same thing down to the millimetre, day after day”. 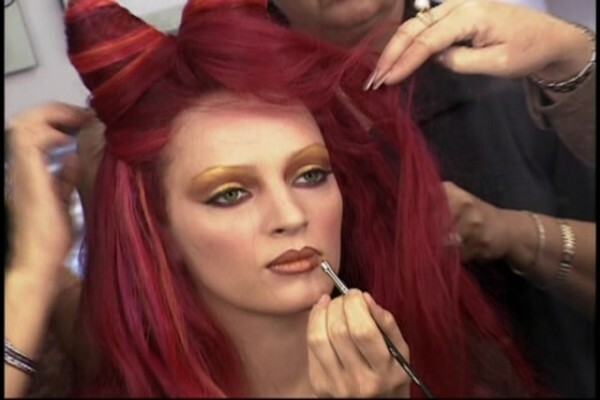 Poison Ivy – Uma Thurman’s mutated scientist Poison Ivy allowed the make-up team on Batman and Robin, the full range of make-up, prosthetics and body art to create the evil Ivy. 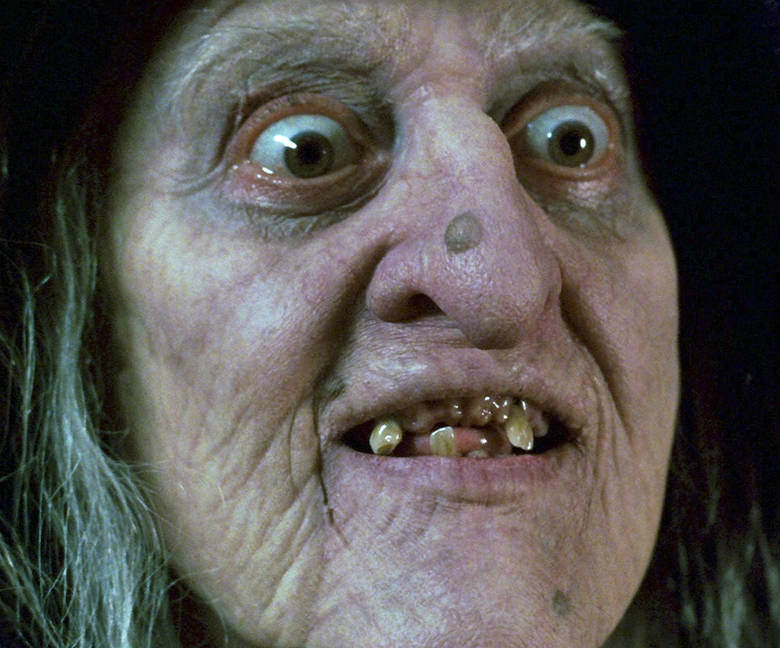 Queen Narissa – when the fairytale Enchanted brought drawings to life, the head villain, Queen Narissa played by Susan Sarandon is portrayed as both beautiful and haggard. 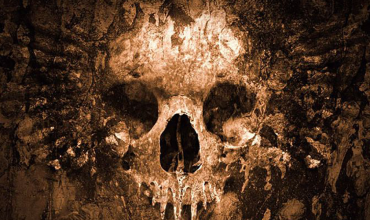 Make-up artists Rick Baker and Nicki Ledermann were responsible for the transformation. Five hours in the chair for the hag was a challenge, but how worth it. 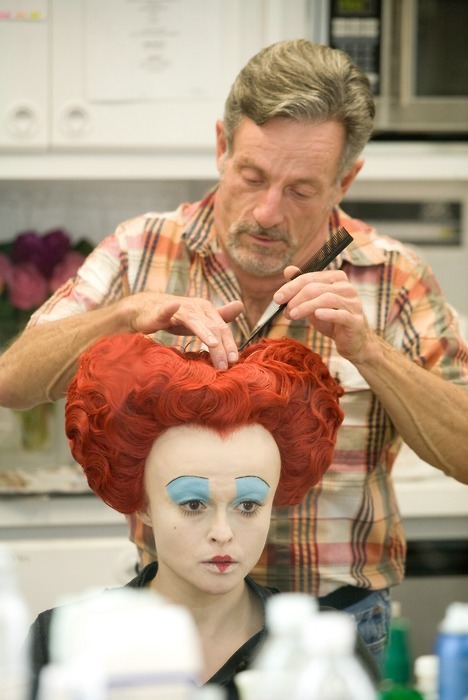 The Red Queen – one of the most iconic of villains is Lewis Carroll’s Red Queen, brought to life most recently by Helena Bonham Carter in her ex-husband’s screen adaptation. 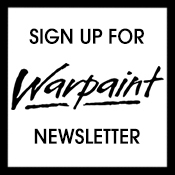 The lips were stencilled, the blue eyes created using a myriad of blues from YSL and the whiteout from Le Maquillage crème stick #51. 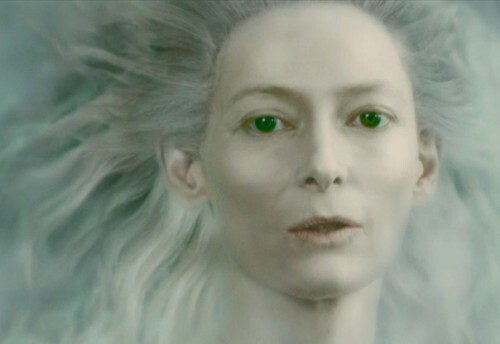 Make-up artists Valli O’Reilly and Paul Gooch worked with Terry Baliel, head of hair, to create this freakish villain. 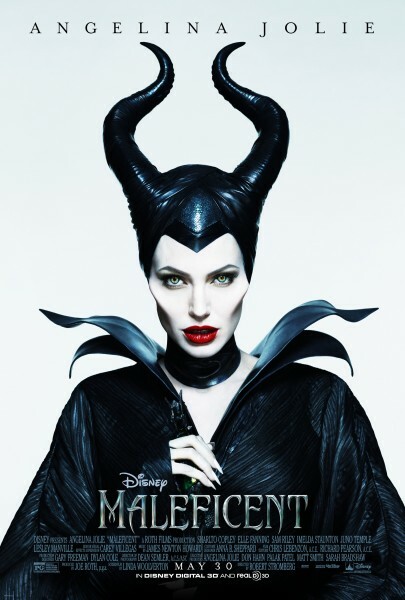 Maleficent – Angelina Jolie’s vindictive fairy is the masterful creation of prosthetics maestro, Rick Baker. 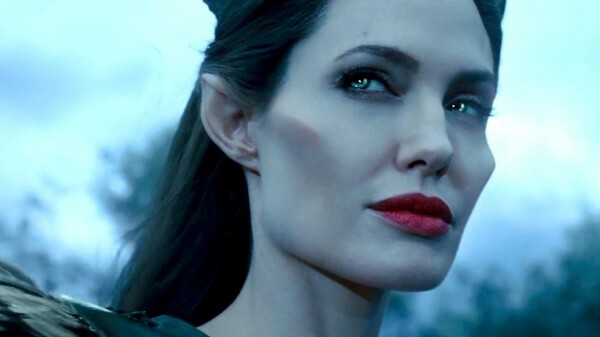 “Maleficent needed to be more relatable and not too creature like,” Baker explains, yet it was Angelina herself who wanted prosthetics, in effect the cheekbones. 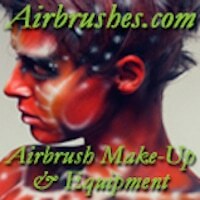 Interestingly those cheek appliances were less than a quarter of an inch at their thickest and only about ½ inch wide. Angie admitted that even her then 5 year old daughter, Vivienne, was scared to approach her on set when she was wearing them. 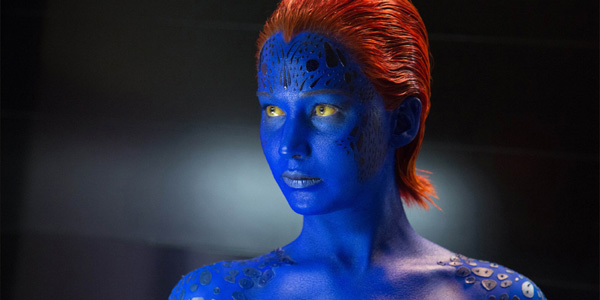 Mystique – This X-Men evil mutant has been played by two actresses so far, but for us Jennifer Lawrence’s dastardly Mystique is a true make-up department success. After being previously marked by the prosthetics, this time Jen donned a body suit for her blue days. Norma Hill-Patton was the chief who dreamed up Mystique. 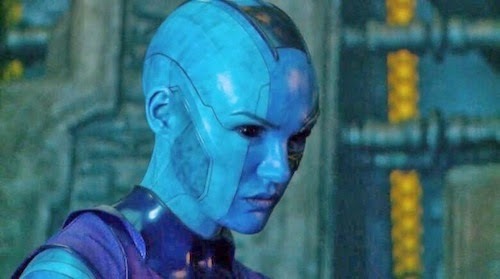 Nebula – Another blue lady in the form of Karen Gillen, who famously shaved off her trademark auburn locks rather than rely on bald caps for this character. 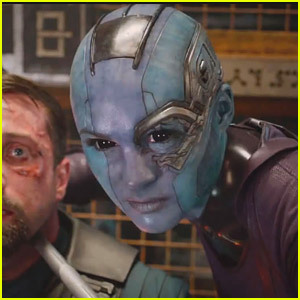 There’s a lot of blue paint going on in Guardians of the Galaxy, all applied under the watchful eyes of chiefs Elizabeth Yianni-Georgiou and Dave White.